Only yesterday, we told you that some Mass Effect 4 details will be revealed at the annual event, entitled Comic-Con, which will be held in San Diego at the end of this month, and already today we hasten to share the information about another one game, which will get some new details there. Thus, recently, it has become known that on the 25th of July at Comic-Con Visceral Games’ employees will make a presentation, called A Visceral World of Crime and Revenge, during which lots of fresh Battlefield Hardline details will be revealed. First of all, we are talking about the single-player plot. Besides this, Steve Papoutsis (the executive producer) and Ian Milham (the creative director) are going to show some explosive new gameplay videos of the single-player mode. Also they will tell how they are moving the Battlefield series in an absolutely new direction, and the invited famous actors (Bill Johnson, Kelly Hu, Eugene Byrd and Benito Martinez) will share the information about their participation in the creation of the upcoming game. 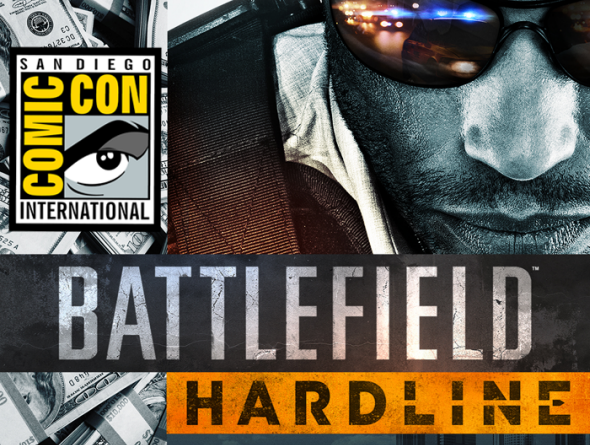 So, if you really want to know fresh Battlefield Hardline details, then we advise you to come back here on the 28th of July, because we are going to describe the most interesting and exciting information about this shooter, which will be revealed at Comic-Con. But that’s not all Battlefield Hardline news. Today, in the series’ official blog, the project’s developers have published the list of changes and improvements, which are based on the feedbacks of the users, who have already played the game’s beta. They touch the vehicles, the game world, the rounds’ duration longer, the balance of the classes and lots of other things. You can read more here. 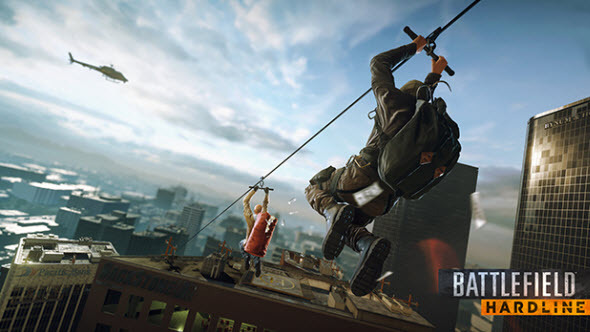 Did you like these Battlefield Hardline news? Are you waiting for the game’s launch? Leave your comments at the bottom of the page.